The most comprehensive emergency outlines are the most impacting. See what to include in your plan's framework to be prepared when disaster strikes. Your plan is only effective as it is utilized. We'll teach you how to keep it alive via proper personnel training and regular upkeep. Make use of our procedure templates for specific property emergencies such as fires, natural disasters, active shooter situations, etc. 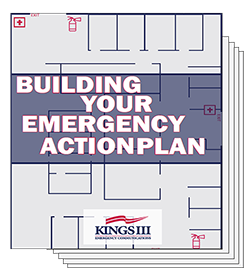 This guide dedicates 37 pages to help equip property managers with the proper emergency preparedness groundwork, helping to keep their tenants and buildings safe in the most dire situations.